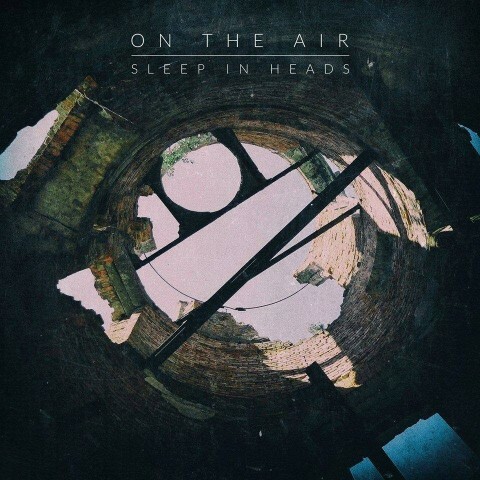 ​Sleep in Heads’ debut album "On the Air" is out now! We are pleased to announce the release of the debut album "On the Air" of the Kyiv-based prog metal act Sleep in Heads. Sleep in Heads were formed in 2015 in Kyiv, Ukraine, by Serj, Natali, and Fann. Comprised of Sonya (vocals) (whom the band is named after when her name is loosely translated from Ukrainian/ Russian means "sleepyhead"), Serj (guitars), Natali (violins), Fann (bass), Katerina (keyboards), and Roman (drums), the sextet are offering fans a quality crafted dreamscapes, groovy riffs, charming female vocals and violins, all blended into a dynamic musical journey of the sleepers. "A dramatic EP that highlights what Sleep In Heads can do, On The Air is certainly a captivating and brutal listen from the beginning. Big riffs and building melodies, I’ll certainly keep an eye on this band as they continue progressing in their sound. Highlights for me on this record are 'Secret Shelter' and 'Blue Fear'", Thinking Lyrically, UK — 8,5/10. "The album's title "On the Air" perfectly reflects its concept — it's a life here and now, a life filled with all kinds of emotions, events, moods, like a song on the air. Each track encourages you not to become isolated, but to be open and sincere. Live so as not to destroy that important balance between your consciousness and the world." "On the Air" is released on March 1, 2018 via Noizr Productions. Order it via Bandcamp (Digital + CD), iTunes, Amazon, Google Play. 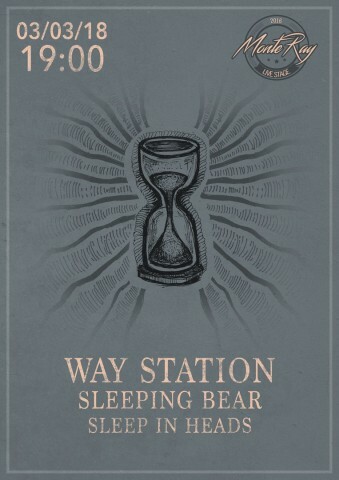 "On the Air" presentation will take place on March 3 at the MonteRay Live Stage club in Kyiv, Ukraine, featuring Way Station and Sleeping Bear. Details on Facebook.